Without much fanfare, Dell has opened up sales of the Dell Aero for AT&T. It seems that the rumors about timing and specs were correct. It is available for $99 on 2-year contract, and $299 without (although still locked to AT&T). Dell developed a tremendous amount of customization and features on top of cupcake to deliver the experiences that matter most to customers. Popular features Dell incorporated on top of cupcake include Microsoft email with Active Sync, handwriting recognition, one-click upload of photos to social sites. We've also pre-loaded popular applications such as Facebook with integrated phonebook and calendar, added a connection manager, and implemented Search on the device or web. Frankly, I think it is a pretty attractive device. I love the "Android buttons" being on the side of the device (in theory, I have not tried that out yet). Even the UI enhancements look nice and like a breath of fresh air. 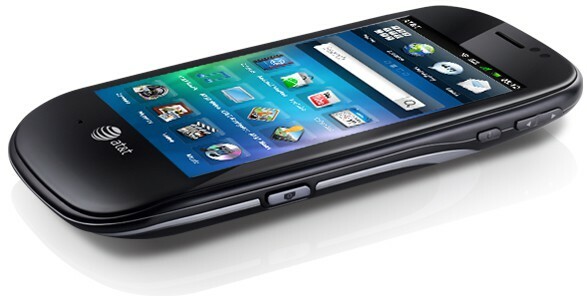 Dell claims that at 3.67 oz, it is one of the lightest Androids around. Unfortunately, there aren't many reviews or hands-on videos yet, so hard to know how it actually fares. Assuming the software works nicely, I can see this becoming a lower-level enterprise device, as it has lots of productivity features built-in. You can get more info and purchase it here.